Constance Wu is an American actress who shot to fame after landing the starring role of “Jessica Huang” in the ABC comedy series, Fresh Off the Boat in 2015. Prior to that, Wu struggled to gain a foothold in the New York theater scene and, later, in Hollywood. She appeared in small roles on television series like One Life to Live and Law & Order: Special Victims Unit, as well as on-stage and independent film roles. 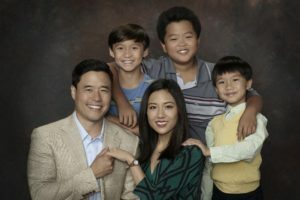 Following her big break on Fresh Off the Boat, Wu won critical acclaim when she starred as “Rachel Chu” in Crazy Rich Asians. Her performance earned her Golden Globe and Screen Actors Guild Award nominations.